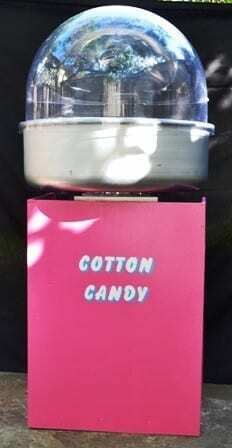 Cotton candy machine rentals are popular with kids and adults alike. Great addition to your concession stand or for an entertainment factor at your party or event. Cute matching concession umbrella just $45 with concession rental (view decorative umbrellas). 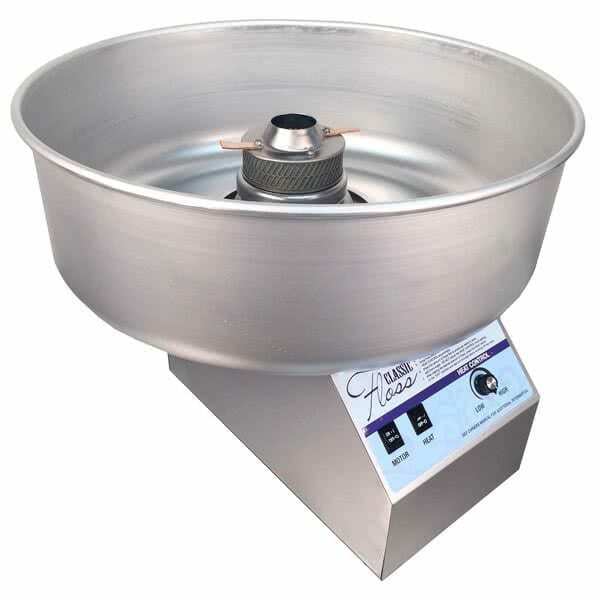 The stand is made to replicate old world charm and is at the perfect height for your to make your cotton candy. *Candy floss and cones are just .45 cents per serving, let us know how many servings when placing your order. We offer pink, blue and yellow candy floss. Pairs well with our snow cone machine. *Don’t forget to add a cute umbrella and stand to make your event extra special!